The Sumba Eye Program welcomes donations to assist in providing life changing eye operations for the      people of Sumba. Your donation will be used to purchase the medical supplies and equipment needed to       deliver cataract surgery, perform eye examinations and train local doctors and nurses. To make a donation by cash, credit card or cheque, please complete the donation form (PDF 35 KB). All cheques must be made payable to “Royal Australasian College of Surgeons”. 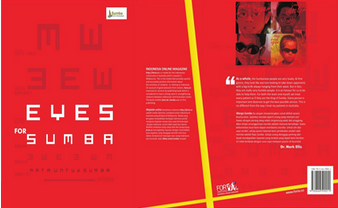 ‘Eyes for Sumba’ is a bilingual book by Iip D. Yahya, celebrating the achievements of the Sumba Eye Program with a foreword from Bapak Irmawin Emir Wisnandar, Indonesian Consul General to Victoria and Tasmania.